When I first had the dream of going to Australia back in 2010, I bought the typical Australian Lonely Planet and began my search. A few years later, the book was left unread and I hadn’t really thought about this massive country too much. All I remember from my purchase was the incredible image on the front of it, which turned out to be a fantastic shot of the Blue Mountains. Fast forward to a few months ago and I was planning my journey round Oz and I realised that the Blue Mountains were definitely on my list of places I must see whilst I’m here. My big aim for Australia is to not spend a penny on accommodation so I’m relying on friends, couchsurfing but most importantly Helpx. I messaged a few families and hostels in the Blue Mountains and thankfully one replied last minute and offered me a stay with them! I was based in a homestay in Blackheath for just under two weeks, and I can honestly say that it has so far been one of my best stays in Oz, and for so many reasons. Firstly, the family I was staying with were incredible. Secondly, the temperature dropped a fair bit as soon as I reached the mountains, which meant a nice cool but yet sunny climate. And thirdly, and most importantly, the Blue Mountains are just incredible. As my stay was in the town of Blackheath, I ventured out there first to see what the mountains surrounding this town had to offer. 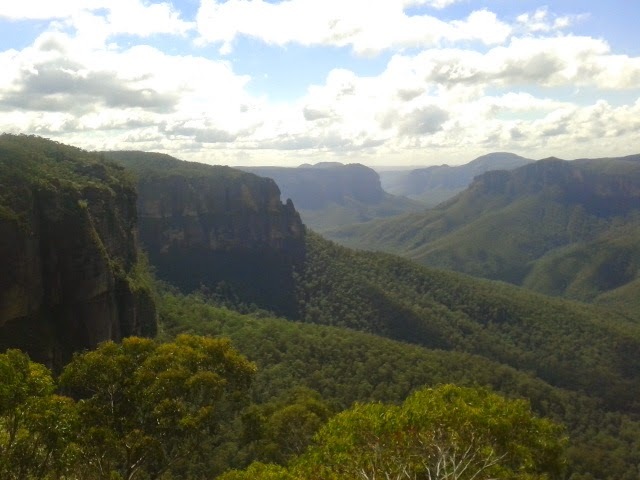 I had a twenty minute walk from my place to the Blue Mountains Info centre at Blackheath, then a further few minutes to see some of the greatest mountain views I have ever seen, that these pictures do not do it justice. The air up here is so crisp and clear, and I really got a feel for a part of Australia that I hadn’t seen up until this point. A lot of people travel Oz for the beaches and the ocean, which is where I’ve spent most of my time, but these mountains were breath taking and a place in Oz that I would scream at people to visit. Now, being from Yorkshire, I do a love a good walk but these mountains can still be enjoyed if walking isn’t one of your pastimes. Even if you aren’t a massive hiker, or a big fan of walking, there are smaller treks around the mountains which are fine for the novice, or even bigger climbs for the pros. The walks at Blackheath can range from three hours to a few days if you plan to hike and camp around the mountains. 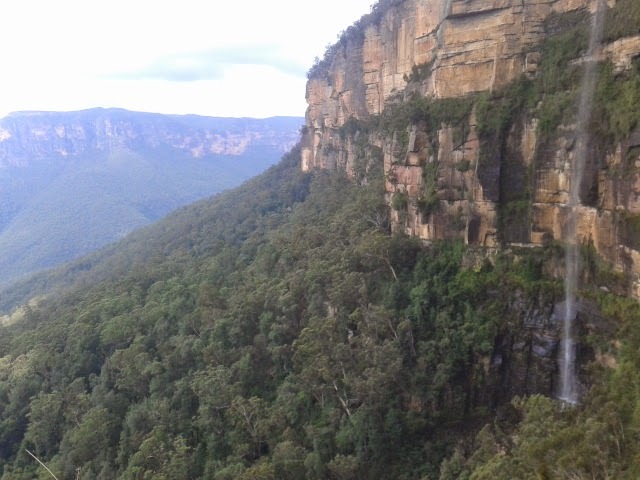 I went on the walks of Govetts Leap, Junction Rock and Grand Canyon. The first was the easiest, the second more of a trek and I gave up on the Grand Canyon walk which was a five hour walk one way and too many lizards freaked me out. 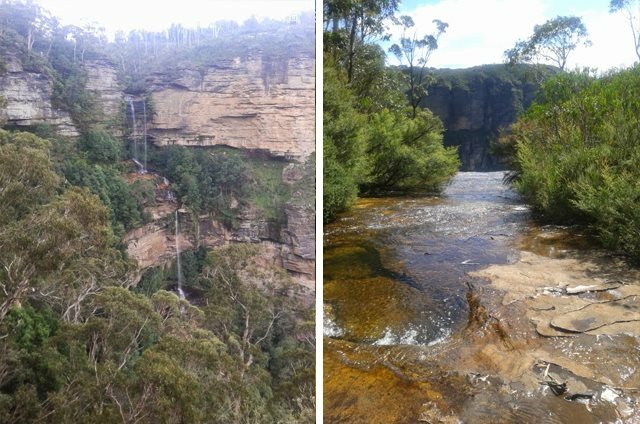 Katoomba is the main tourist area of the mountains, and the part where you will see the highlights of the Three Sisters and Katoomba Falls. But it’s also twinned with heaps of Chinese tourist buses and also the Sydney weekend city break folk. However, this shouldn’t put you off as the walks around the mountains in Katoomba are just as beautiful and just as incredible as the ones in Blackheath. Here, you can also take the Katoomba Scenic Railway which was once (maybe still is) the steepest railway in the world, and it also offers a glass bottom cable car view over the free falls of the mountains. 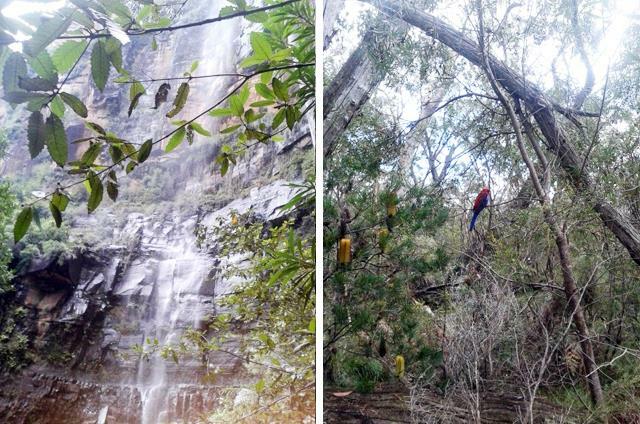 Whilst here the main spots are the Giant Staircase down to Jamieson Valley and the Three Sisters. I hope these pictures speak more than my words as the Blue Mountains National Park is a place you explore for yourself rather than the recommended walking trails and the cafes in the area. I spent over a week here, however some days were busy spent with the family I was staying with so the mountains can be covered in a long weekend. Arrival: Trains leave from Sydney Central Station every hour or so and they take two hours. 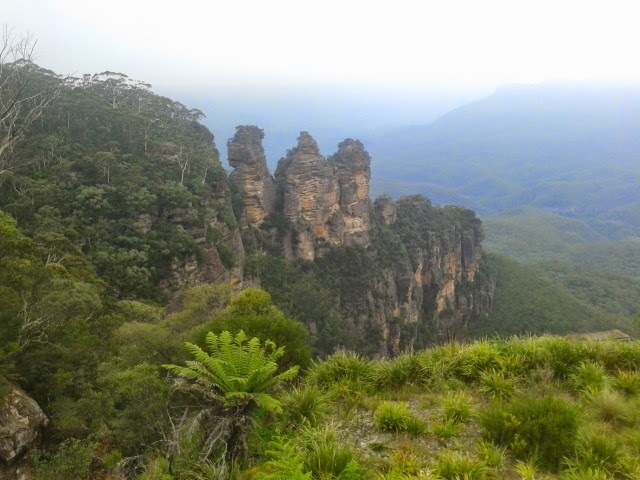 They only cost me $8 one way at the time of writing and from what I read, the hostels in the area are cheap and all within walking distance of the Katoomba train station and the start of the Blue Mountains National Park. To get between the different towns of the mountains just take the main train line or local buses.